Count on Gabriel Garage Doors, Inc. for world-class service on virtually every make or model of garage door and garage door opener. With decades of experience serving the garage door needs of residential and commercial customers throughout the Southern New Jersey area, you can rest easy when you work with our team of professionals. Our service rates are extremely competitive AND we get it right the first time! High tension springs can break after years in service, under unusual conditions, or after accidents. 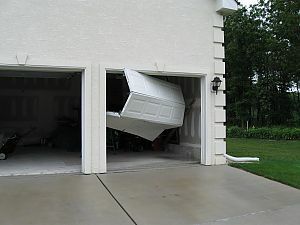 Garage door spring replacement should be performed by trained professionals. Contact us and one of our IDA certified technicians will get the job done safely and quickly. We provide both on-call and regularly-scheduled preventative maintenance for residential and commercial clients that can keep your garage doors operating efficiently year round. Our service department stands ready 5 days a week and Saturdays by appointment only, to meet your garage door and opener needs. We offer FREE ESTIMATES on garage door installations. Request an estimate online today!